A two-judge bench comprising Justice Dipak Misra and Justice Amitava Roy issued notice returnable in four weeks in the petition filed by Shyam Narayan Chouskey. It is averred in the petition that sometimes the National Anthem is sung in various circumstances, which are not permissible, and cannot be legally countenanced. Advocate Abhinav Srivastava, who appeared for the petitioner, submitted that the National Anthem is to be respected and shown due honour by everyone in this country. There should be no commercial exploitation to gain financial advantage or any kind of benefit. There should be no interruption in between till the completion of National Anthem and no abridged version of National Anthem shall be sung at any point of time. There should not be dramatisation of the National Anthem and it should not be sung in an entertainment programme. 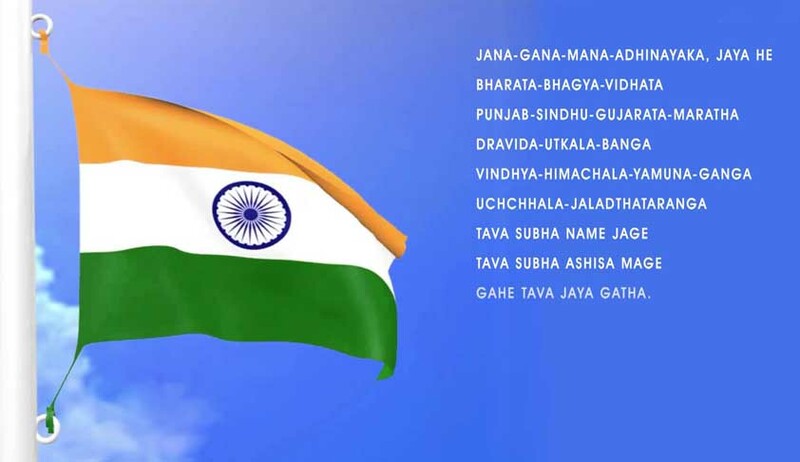 It should not be sung before the people who do not understand it unless they are properly apprised that when the National Anthem of India is to be played, they are required to show respect. It should not be printed on undesirable objects and should not be displayed in such a manner and at such places which may be disgraceful to its status and may tantamount to disrespect. The petition also prayed that directions should be issued that the National Anthem should be played in cinema theatres across the country before the screening of the feature film and proper norms and protocol should be fixed with regard to playing or singing of National Anthem in an official function and the functions where certain constitutional dignitaries are present in strict compliance. The bench directed the registry to post the matter on 30.11.2016.